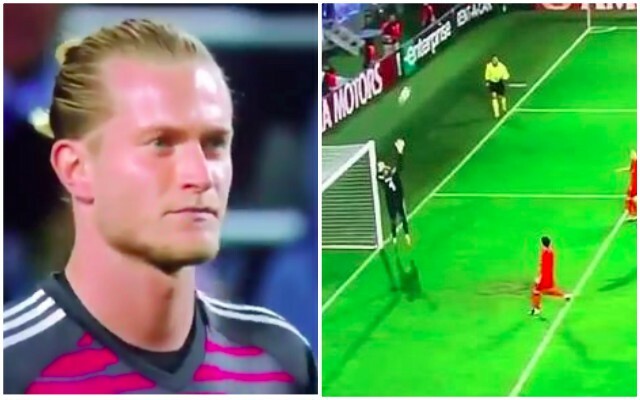 It’s sadly not worked out for Loris Karius in Turkey. The goalkeeper joined Besiktas in the summer of 2018, looking to put the nightmare Champions League Final against Real Madrid behind him. But the German hasn’t been paid in months, has made multiple mistakes and been publicly hung out to dry by his manager Senol Gunes. Türkiye Gazetesi suggest that Karius is looking into legally terminating his loan deal, which currently expires at the end of next season, so he can get a move back to Germany, where he originally made his name. According to their report, Frankfurt and Dusseldorf are both potential Bundesliga options, with a year on Liverpool’s bench not a possibility. That does mean though that there may be time in early pre-season when Karius is a Liverpool player again, and with Simon Mignolet surely searching for an exit, potentially our backup stopper for friendlies. We just hope Karius can end his Besiktas loan, but then get a permanent deal elsewhere sharpish. We’re going to miss out on the kind of money Besiktas had agreed to pay, but at this point, getting the player off our books and allowing him a fresh start should be a priority.